In the grand scheme of things, the event that occurred on Friday was minor, so all was to be expected with the world at large. But in my little corner of the world—the world of youth sports medicine in Ohio—things may be changing considerably, and soon. Friday, April 26 marked the day that Ohio House Bill 143, Ohio’s “Return-To-Play” legislation that addresses how youth sports concussions are managed, went into effect. And some people predict a flood of sorts is coming. As many American readers of this blog might know, the legislators of Washington State signed into law the “Zachary Lystedt Law” in 2009. This law, the first of its type, has become a model for other states to follow. The legislation came into being in response to an event which occurred in 2006, when a middle-school student-athlete named Zachary Lystedt sustained a severe head injury while playing American Gridiron football. The injury was found to be due, at least in part, to a concussion the young man had sustained earlier in the same game. His injuries were catastrophic: Lystedt did not die, but he will be disabled the remainder of his life. 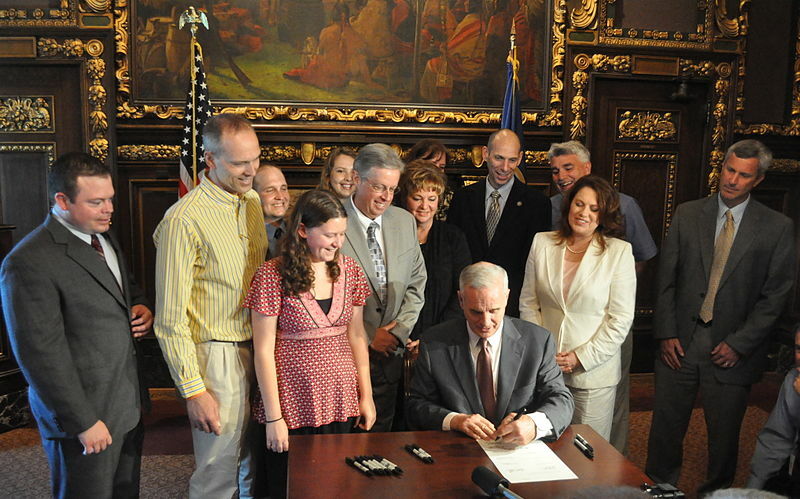 In 2011, Minnesota Governor signing his state’s concussion bill into law. The Washington State law contained several provisions addressing issues of education and informed consent, but its centerpiece is a requirement that any athlete playing at any level of youth sport who is suspected of having a concussion cannot return to play without an evaluation by a health care professional and a written, signed statement releasing the individual back to his/her sport. Over the subsequent four years, 42 states, and the District of Columbia, have established similar laws. Effective Friday, Ohio has become the 43rd state with such a law in place. Ohio House Bill 143, which became enforceable as law on April 26 2013, was signed into law in December 2012 by the state’s governor. The law is technically known as ORC 3707.511, and is informally referred to as the “Ohio Return to Play Law.” The law was the end result of over two years of advocacy by various stakeholders in the state, including physicians and Certified Athletic Trainers from the Nationwide Children’s Hospital Division of Sports Medicine, where I work (I was not part of the advocacy group, but my colleagues were). Ohio student athletes have had some form of regulation regarding identification and management of concussions, but there has been no systematical, legal framework in place prior to this moment in time. For instance, the Ohio High School Athletic Association (OHSAA) has had regulations in place for three years which require athletes suspected with concussion to be removed from the field of play; forbid such an athlete from return to the field on the same day; require a medical assessment before return to play; and recommend (but do not mandate) a specified ‘return-to-play’ progression that can guide school ATCs and coaches in safely bringing an athlete back to sport. Some of the significant limitations of the OHSAA policy include the fact that it is a regulation and not enforceable as law; and that it is applicable only to member high schools, thereby missing large numbers of young athletes in Ohio. For instance, any student playing in sports who is in elementary school would not fall under OHSAA’s protection. For that matter, a great deal of youth sport currently is run as organizations that are affiliated with no school: the various travel sport teams, such as the “Columbus Crew Academy” here in Central Ohio fall outside of OHSAA’s purview. Athletes younger than high school or who play club sport/league sport as opposed to school-based sport have enjoyed no protective sports-related concussion regulation, so there are vast numbers of kids roughly 13 and younger who have previously had essentially no regulations informing how their concussions might be managed. No youth may return to play on the same day as removal even if they are subsequently found not to have sustained a concussion. The mere suspicion of a concussion which has led to an assessment results in the player’s removal from sport for at least this one day. Furthermore, such player cannot return to play without clearance from a physician or ‘other health care professional working with a physician’, and such clearance must be in writing. To state the obvious, the law has yet to be applied in ‘real time’—it just went into effect 48 hours ago– but it is anticipated that these new regulations will markedly increase the recognition, or at least the ‘recognition bias,’ of sports-related concussions. Youth sports medicine specialists throughout the state are expecting possible increases in the number of visits for patients with concussions or even suspected of having had a concussion. Also, and as ever with laws, I would argue the ‘devil is in the details’: what precisely is meant by clauses such as ‘pursuant to the referral of a physician,’ and what implications do such legal terms pose for us sports medicine clinicians? Fully 8.9% of all high school athletic injuries in the United State are a sports-related concussion, and in the most recent 2012 data from the on-going, well-regarded High School RIO epidemiologic study, concussions have become the most common injury in high school sports. All told, the epidemiologic data indicate that concussions, and specifically pediatric sports-related-concussions, are a common injury being seen more frequently. In our own sports medicine practice we have seen the volume of concussion visits climb almost literally exponentially since our concussion clinic opened in 2009; concussion visits now represent our single most common visit, and we have seen our total number of such visits increase by fully 600 each year over the last three years. For our Division of Sports Medicine, and for our colleagues in Ohio, the question that has been kicking around my non-concussed-but-nevertheless-challenged brain has been: the year-on-year volume increases we’ve seen since 2009 I’d expect to continue, but will the marginal increase in concussion volume attributable to this new law be dramatic? In other words, will the proverbial flood gates be opened? Will the world still turn, but will our figurative world of pediatric sports medicine experience a Noah-like flood of concussion visits? In the hopes that the ever-expanding world of evidence-based sports medicine could answer my questions, I turned to the medical literature, and I attended the recent AMSSM Meeting in San Diego. The first and chief issue that warrants exploration is an investigation into what evidence exists that may predict increases in concussion visit volume with this change in legislation. After all, 42 states and the District of Columbia have introduced similar legislation to Ohio House Bill 143; to the extent it has been tracked, Washington State, for instance, would have four years of experience to draw from. In investigating this issue—the impact of concussion legislation on change in concussion reporting, incidence or referrals for medical management—I found the medical evidence to be sparse and the results somewhat unexpected. For the most part, the published research is focused more on changes in knowledge and behavior in stakeholders (e.g. parents, coaches) than in tracking changes in concussion referrals or visit volumes. There are almost no reports in the literature that comment on the more pressing issue for the purposes of this blog post. These are the expectations. Are there any data that have looked at what has actually occurred in some of these states after concussion laws have been put in place? A recent study from the University of New Mexico was able to look at real data gathered in a prospective fashion subsequent to that state’s initiation of a Zachary Lystedt law in 2010. In truth, there was an element of luck involved in finding this citation, as the research was first presented at the 2013 American Medical Society of Sports Medicine Annual Meeting in San Diego in April 2013, an event I was fortunate enough to attend. The New Mexico Team, led by Michael Swartzon M.D., discussed their study, “State Legislative Impact on High School Concussion Return to Play,’ found on page 139 of the AMSSM Research Abstracts published in CJSM. New Mexico’s law has been described as one of the ‘toughest’ in the nation‘, adding a mandatory 7-day minimum waiting period before any return to play after a concussion or suspected concussion to the details found in Washington’s law. In the University of New Mexico study, the authors looked at 13 high schools’ concussion data from 2009 (prior to initiation of return to play law) to 2012 and found that there was no statistically significant change in epidemiological data regarding concussion incidence. Furthermore, the study looked at numbers of concussions that required referral to emergency rooms or primary care providers and, likewise, found no statistically significant change in volume of such referrals before or after the legislation. These are surprising results from the “Land of Enchantment” and are counter-intuitive to the stated expectations as discussed previously. I would argue that on one hand the finding might be particularly robust since the study comes from New Mexico, a state considered to have one of the stronger concussion laws in place. One might expect in such a state a higher reporting and referral rate. A countervailing argument against this idea is that the study looked only at high schools, which in the case of Ohio are already covered by OHSAA regulations. The expected impact of the new Ohio law is anticipated to be greatest in the sporting venues that have not been previously covered under any concussion regulation: as discussed, this includes elementary and middle-school sports, and leagues such as travel soccer, club hockey and “Pee Wee” football. 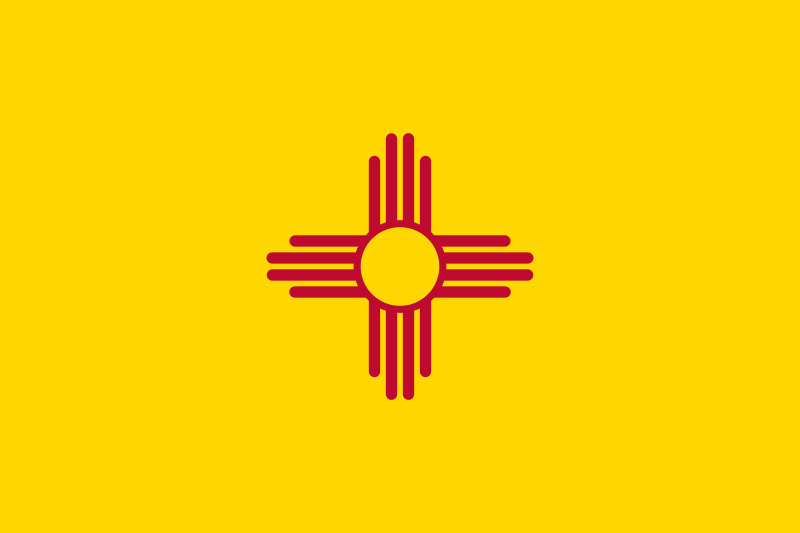 Therefore, the generalizability of the New Mexico study is not immediately apparent. This brings me to the other relevant work that was presented at the same AMSSM meeting. A research team led by John W. O’Brien discussed the findings from their study, “Concussions Among Female Middle School Soccer Players: Epidemiology and Evaluation of the Washington State Concussion Law,” found on page 129 of the AMSSM Research Abstracts published in CJSM. 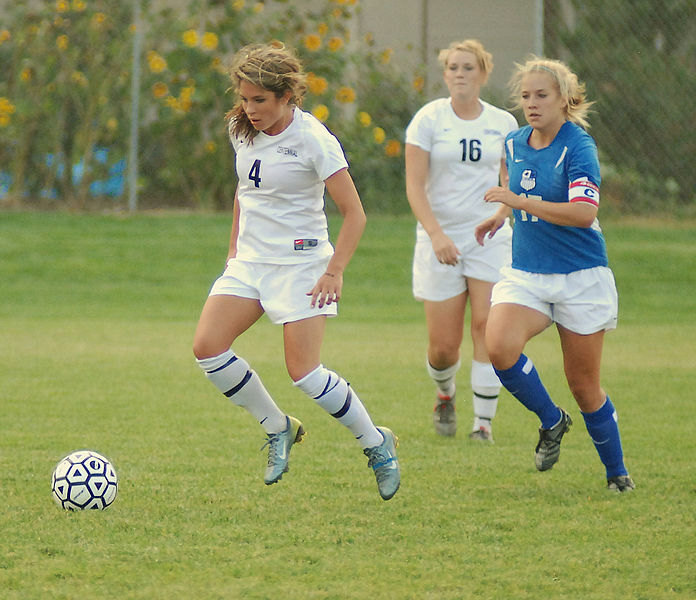 The authors performed a prospective cohort study enrolling 351 female elite youth soccer players ages 12 to 15, with teams enrolling annually from 2008 (the year prior to the Zachary Lystedt law in Washington) to 2012. These are precisely the sort of athletes (middle-school aged) no law or regulation previously in place in Ohio would have covered prior to the passage of our new law. The single conclusion from this team’s study that must struck me was that the law seemed not to change the number of athletes requiring evaluation by a ‘qualified health professional’; however, the study did find that such professionals were 4.2-fold more likely to diagnose a concussion after the law (and, presumably, be more likely to then need involvement in on-going care and management). So, on balance, the expectations in the medical literature and the popular press are that changes in concussion legislation similar to Ohio House Bill 143 should lead to an increase in volume of concussion referral visits seen by clinicians. However, the albeit limited data from studies I could find in the literature argue that there may not be significant change in such volume beginning……now! I am very interested to hear what our readers’ experience may be in the 43 states in the United States that have such legislation, and I am even more interested in hearing from our readers outside of the States, in areas such as Europe or Australia or beyond, with whose concussion return-to-play legislation I am completely unfamiliar. In the meantime, I expect tomorrow, Monday, the world to keep turning; and I’m expecting my concussion clinic this week to be busy. I am a firm believer in evidence-based-medicine, and with what I now know from the medical literature, I’ll expect our concussion visits to increase but not overwhelm us. But I continue to wonder if soon I’ll be finding the concussion clinic busier, and busier, and busier; and I’ll be wondering if there is any room on the Ark. I was looking at some of your content on this web site and I conceive this internet site is very informative ! Retain putting up.